Discussion in 'UFC Discussion' started by Andrei Orlovski, Mar 30, 2019.
basedgodfedor, georgekillian, Horriblehim and 27 others like this. Moral Victory, Colby, markg171 and 10 others like this. Funny how the champion of LW right now is Khabib, and more people made threads about how he'd beat Conor rather than a potential fight with the champ. Sir Punchalot, Keano, Fahcough and 6 others like this. ...that would not be a fight on the feet for leg kicks to even take place. Skeptic_Zero, Keano, Deadwing88 and 5 others like this. He has the wrestling to make it interesting that's for sure. RockyLockridge, Fahcough, maxi diablo and 2 others like this. I agree he is definitely a TOUGH fight for khabib. RockyLockridge, Fahcough, fiftywattmafia and 1 other person like this. I actually agree. Correct me if I'm wrong, but he statistically has the best TDD in that division, right? I believe he's never been taken down. Khabib has yet to fight someone known for having great TDD. Iceblink Luck, drabon74, markg171 and 6 others like this. HeLLMuTT, Gucci 'Trap God' Mane, Übermacht and 3 others like this. Khabib is the smartest fighter in the game, he wouldnt just stand and brawl like an idiot. 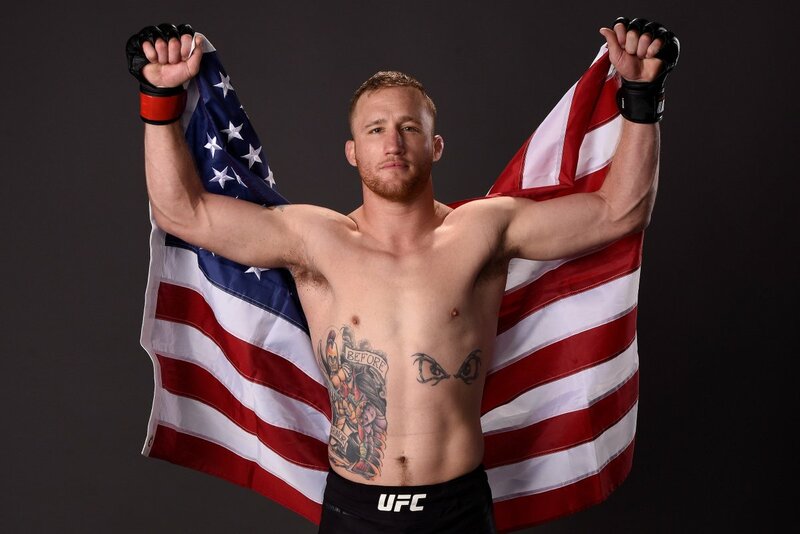 Gaethje isnt a hard puzzle to solve for Khabib..
A-Level Wrestler, Area809, GBJohn and 4 others like this. He's got the NCAA wrestling background, but whether he can stop Khabibs TD's is a huge question mark. A-Level Wrestler and Area809 like this. I agree. I have been saying this for a while, Gaethje matches up perfectly to beat Khabib. I think Gaethje is made to beat him. The guy never gets taken down, has a wrestling pedigree if he does, and has no interest in fighting on the ground. RockyLockridge, reigning terroe and Shenti like this. Everyone beats Khabib in the eyes of some.. The fact is Gaethje is 3-2 in the UFC, while Khabib is 11-0. There's a reason for that..
A-Level Wrestler, NumbBigToe, Area809 and 10 others like this. Why do some people add the word stiff after KO? I notice there’s a thread that says the exact same thing. Lol this guy leaves himself completely open with those telegraphed leg kicks he throws. Which is why he gets ROCKED in every fight or even taken down by inferior wrestlers. depassage, Area809, omawho402 and 1 other person like this. Would be an awesome fight but Ali, who manages both, is going to try and convince Justin to take other fights instead of look for a title shot. Instead he'll waste his time fighting guys like Cowboy or whatever "for the fans." Because Khabib is a more important client for Ali than Justin. Ali is a Machiavellian genius. dissectingaorticaneurysm, Deadwing88, Vitor CroCop and 1 other person like this. DLX, markg171, Gucci 'Trap God' Mane and 3 others like this. Yeah Justin is fighting top 10 LW talent, and title contenders as a Main Eventer in his first 5 fights. Khabib hasnt. magicmarker, Colby, markg171 and 5 others like this.